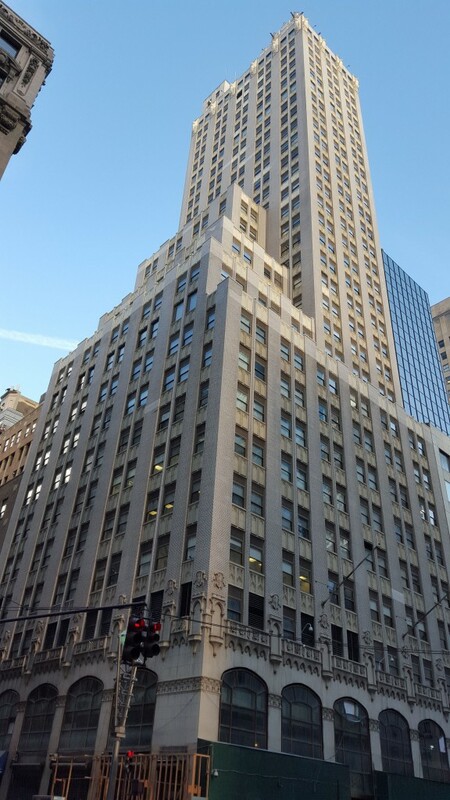 A unique Gothic-Normandy mish-mash from Warren & Wetmore, 580 Fifth Avenue is also known as The World Diamond Tower. Located at the gateway to the block-long Diamond District on West 47th Street, it is an imposing if eccentric presence. The building is currently under renovation.